The national Grange Movement was founded in 1867, immediately after the conclusion of the Civil War, when the country’s agriculture was in dire shape. 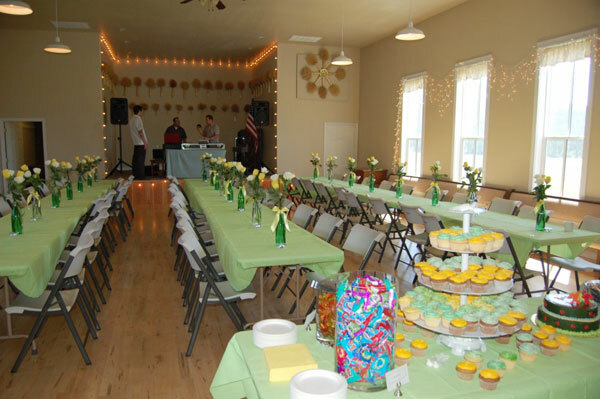 Six years later the Oregon State Grange organization was established to help rural communities work more effectively together. Politically, the Granges consistently supported better roads, technological improvements for the small farmer, flood control and rural electrification. But there was another side of the Grange that was just as important! 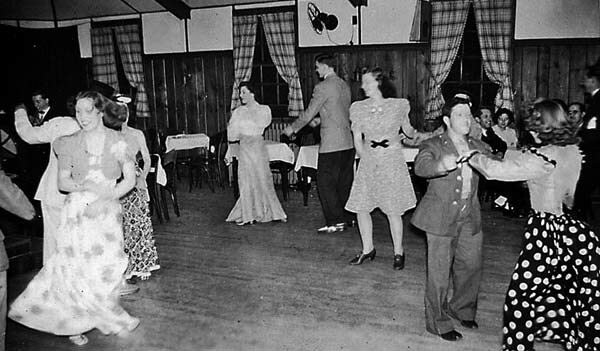 The Granges also encouraged the enlivenment of the local community by throwing great country dances! It is difficult for many of us to understand the isolation of the remote rural Oregonians that pioneered homesteads in the Coastal Range or in the Nehalem Valley. They rarely got to see their neighbors, who might live 15 to 20 miles away through dense forest inhabited by cougars, feral pigs, and bears. “Visiting” took determination, pluck and stamina and sometimes required an overnight stay. Social life was hard to sustain when the roads were hip deep in mud, the skies were dumping oceans of water, and a foggy dusk presided from dawn to darkness. Most of these country dances went all night long, not simply because they had the stamina to do so, but because an earlier finish would have resulting in people trying to walk home through the dark cougar-infested forests dressed in their best party clothes – so they simply stayed and danced until dawn. The stairs going up to the dance hall were lined with muddy overshoes, lanterns, and the occasional nosebag full of oats for the horse’s trip home. While the older women sliced up the cakes, the old men hunkered to some serious poker fueled by ample stock of buttons reserved for that purpose. At mid-night there was a break when the ladies served a feast of cooked ham, sliced with buns, pies, cakes, pickles, and washed down with lots of coffee – all for $1.00 per family! All around the hall, children slept on the chairs and benches, covered in lap-robes and coats. After dinner, they’d put down another layer of wax and announce, “This will be the ladies’ choice.” Out from the kitchen came the matrons, but their old-timer partners had already escaped down the stairs. All the wives and sweethearts would grab hold of their men, while the unattached girls would rush any boys that could actually dance. The others then sought out any uncle or neighbor that could dance a quadrille with a “right and left through”, or “circle eight with a full allemande.” Once the pace picked up and they began a Paul Jones or a feisty tag-waltz the old-timers would reappear just in time to be pulled into the vortex by their patiently waiting wives and immersed into the exuberantly whirling dancers. But woe-betide those that tried to drink, for these affairs were entirely sober. And if you got caught, you were not just expelled from the dance, but were also likely to lose your job on the morrow. This entry was posted in Indian lore, Lower Columbia Trails, Nehalem Valley Trails, Pioneer Lore, Uncategorized. Bookmark the permalink. 6 Responses to The Grange movement – the Internet of its day. The carrying case includes the cue sheets for calling the dance moves. My Grandparents lived near Jewell or Mist back in those day’s. Those must have been the days when people traveled for miles to attend these dances. I can remember putting on a barn dance on my cousin’s ranch in Eastern Montana. The music came in via a small transistor radio which we used to pick up a rock and roll station out of South Dakota, and the dance floor was the back of a big cattle truck which we hah painstakingly scrubbed to remove almost all traces of cow dung. We covered the floor with lots of corn grits to make it slippery enough to dance on. All the kids drove over to join us from hours away. They said I “was outa my tree” for trying to do this, but everyone enjoyed it immensely. But there were also those that thought I was destined for perdition for introducing such outlaw music. I’m searching for information about the old Scappoose grange/schoolhouse up Dutch Canyon. I came across a Spotlight article from 2005 saying someone was planning on refurbishing the building, but who knows if that ever got finished. According to the article, it’s “three miles up Dutch Canyon Road on two and a half acres”. Do you know anything about the property today? I’d love to explore out there, but only if it’s deserted and safe. This is probably way too late to be responding to the inquiry about the old Scappoose Grange hall, but you can find it at 30949 Dutch Canyon Rd., just before McKay Road. I looked at the property when it was for sale in 2002, made an offer, had it accepted, and planned to buy it. However, at the time, it would have taken a great deal of legal wrangling to convert it into a residence. Apparently, once a property is developed as a Grange Hall, it is supposed to remain a public use building forever and it is very difficult to convert the status of the property. I couldn’t figure out how to get around the rules (and had enough respect for the history of Granges in general that I kind of didn’t want to), so I eventually gave up on the property. In 2002, the Grange Hall was owned by a man that had purchased the land it sat upon, and had built a house further to the east. He had recently been divorced and was trying to divide the land and sell the portion that still had the Grange building on it. The Grange was the only structure, but there was a spring and well on the land, and some kind of old grave. It was a two-story structure with a very large porch running across the front, facing east. You entered through the porch into the second floor. The interior had a wood-paneled entry hall with a wide, kind of grand staircase leading to the lower floor on the right, and a washroom on the left. A spacious kitchen was beyond the stairwell to the further right, and also opened into the huge hall that consumed the rest of the second floor. The hall was lined with windows large enough that my 6’2″ brother (who was helping me take measurements one day we were out there) could easily stand upright in them upon the windowsills, and raise his hands above his head. The ceiling in the hall was 14′ high. It was simply a fantastic building!! I don’t know the details of what happened to it, but I see that there has been some development at the property, with a couple of new structures having been built. It appears to be occupied. I hope the owners have retained the many fantastic features the building had! Quick correction – the address is 30965 Dutch Canyon Rd.